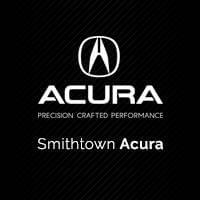 At Smithtown Acura, we believe it is our responsibility to not only sell you a vehicle at the best price possible, but to also provide educational resources you so you can take care of your vehicle through the ice, snow, potholes and whatever else comes your way. Please review our library of ‘how-to’ videos below for tips and tricks how to keep your car in top shape. Every Acura model has Bluetooth phone connectivity called HandsFreeLink. It’s easy to set up with a Bluetooth®-enabled phone by following the brief steps outlined in this video. For more information on this topic, please go to Acura Hands Free Link. All Acura models allow the driver to make and receive phone calls by voice once a compatible phone is paired with the vehicle. Acura models with an upgraded navigation system offer a greatly expanded range of voice control including navigation, audio, phone, climate control, and more. Current Acura models can recognize up to 650 different commands. Explore Acura’s new streamlined approach to vehicle displays and controls, which result in a clean and sophisticated look that greatly reduces buttons and clutter. Acura Navigation Systems allow drivers to set a destination using an interface dial and its surrounding buttons, as well as by voice command, all while the vehicle is stopped. Learn how to add a destination and adjust settings to suit your personal Navigation System preferences with ease.